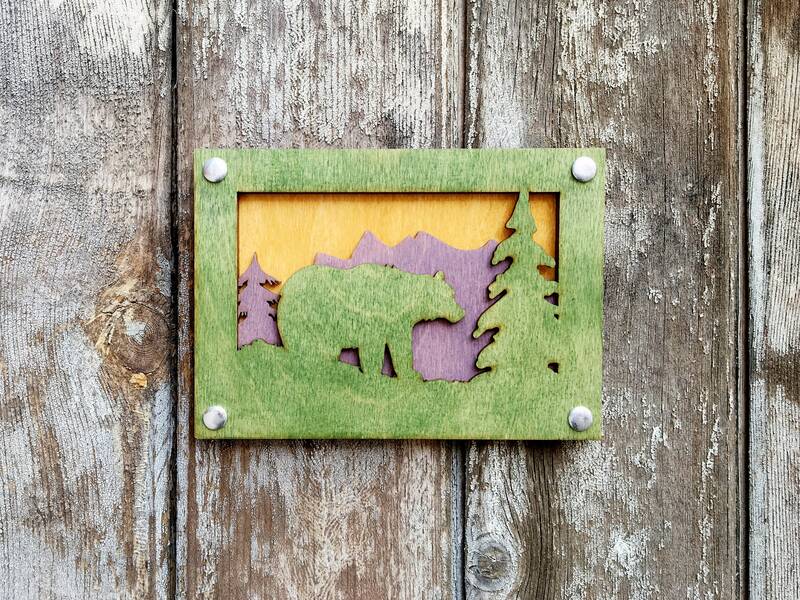 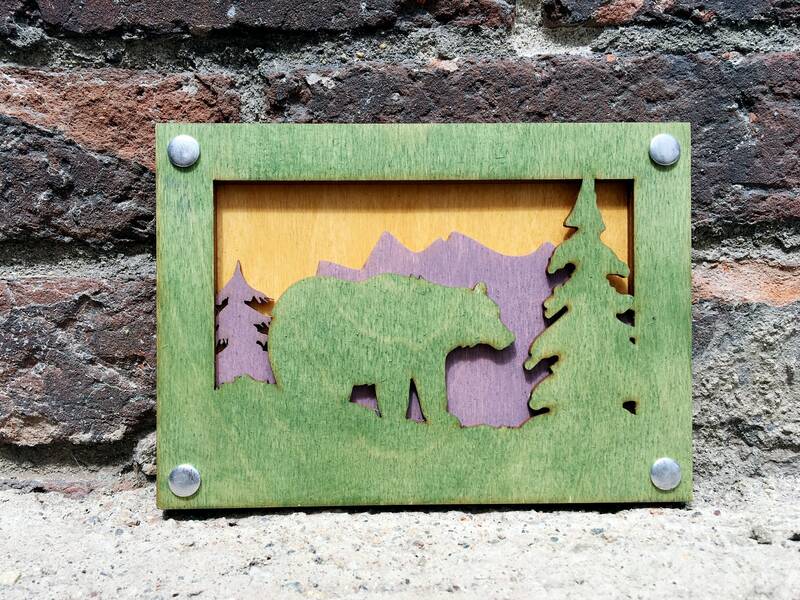 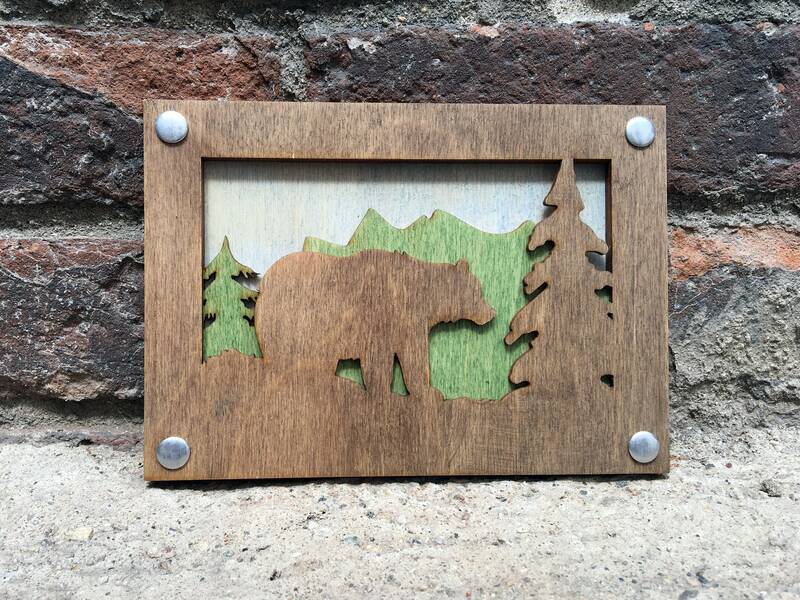 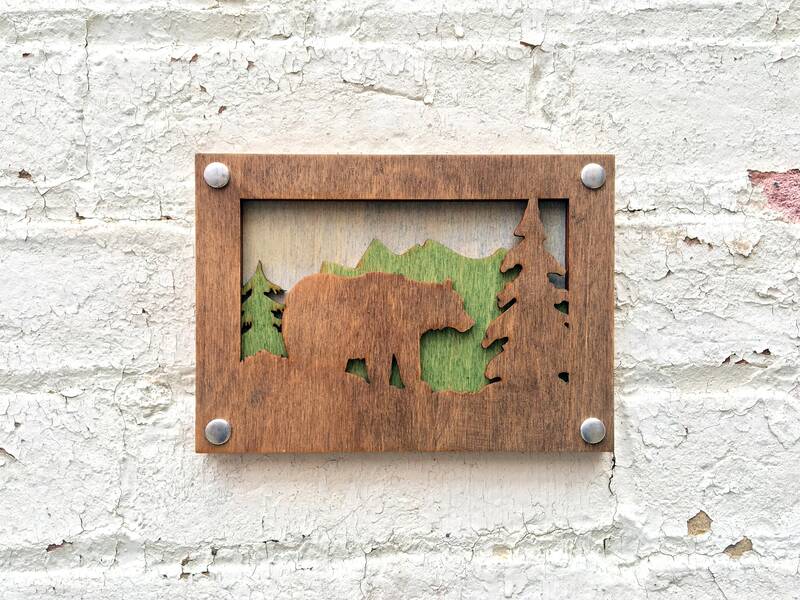 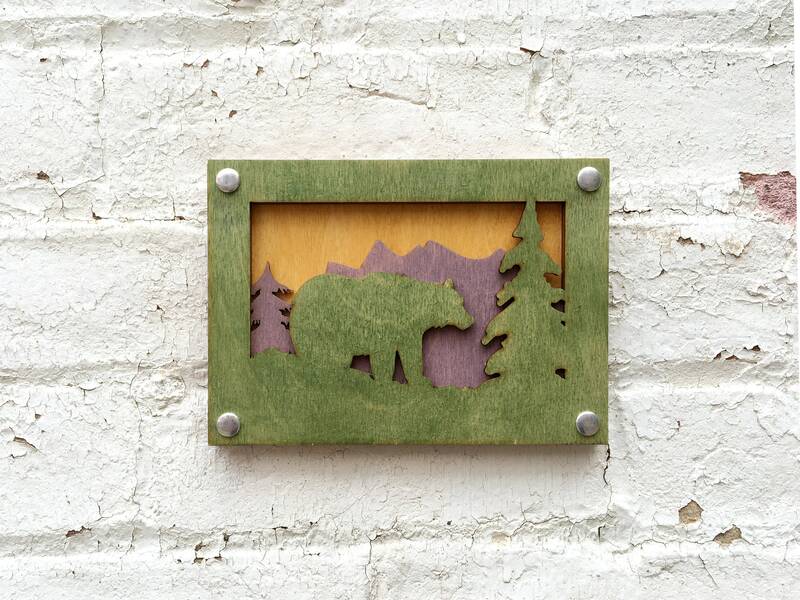 Bear wall art that reflects the vibrant color of the nature. 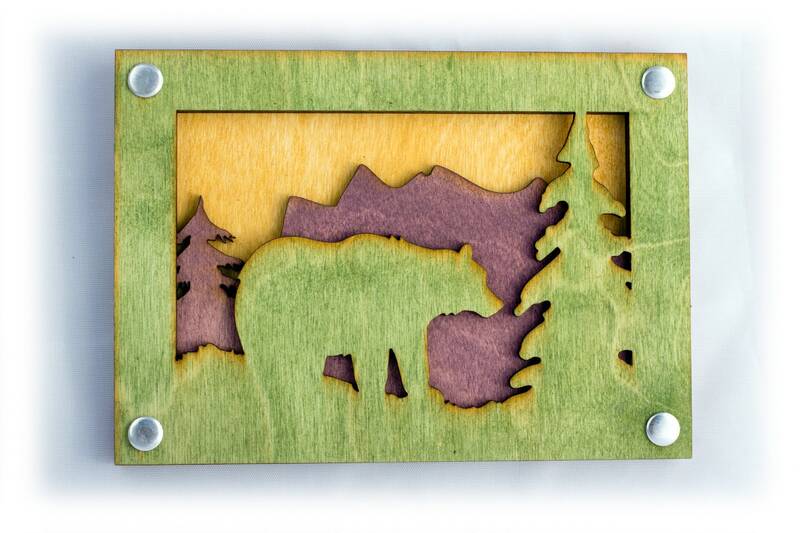 Each piece has 3 layers of set in relief. 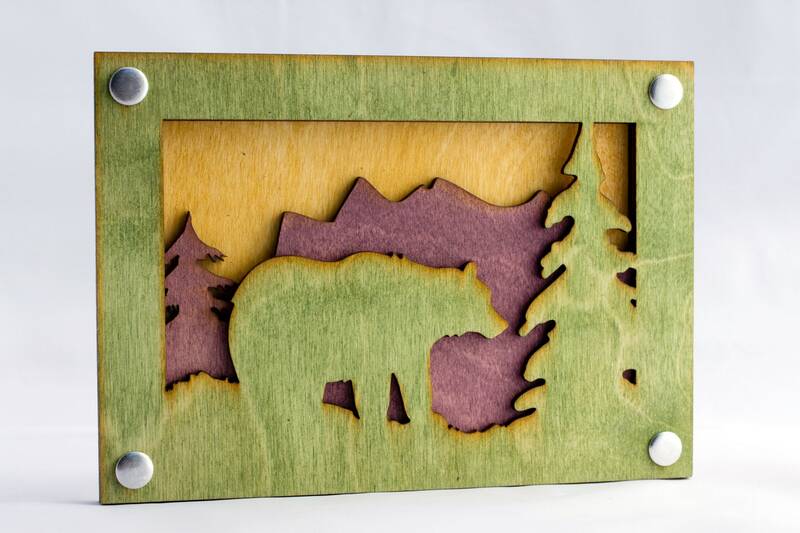 Each panel is laser cut and stained, and then held together with rivets. 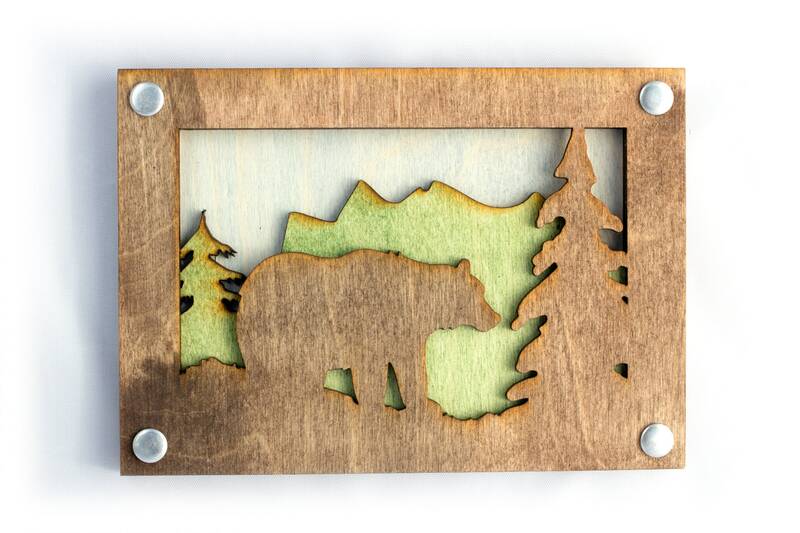 Bear walking in woods with trees and mountains behind. 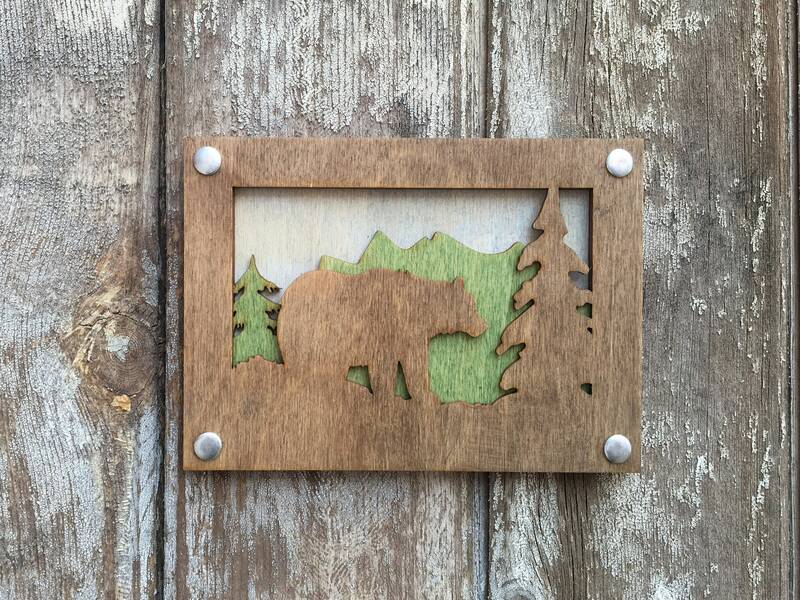 Comes with saw tooth hanger for hanging.